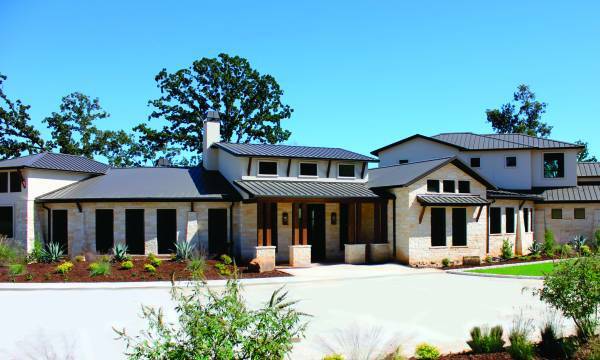 This home located in Longview, TX at Waters Edge was in the fall 2013 East Texas Builders Parade of Homes. The builder was David Mitchell Homes from Longview, TX. This home also has the ELAN g! 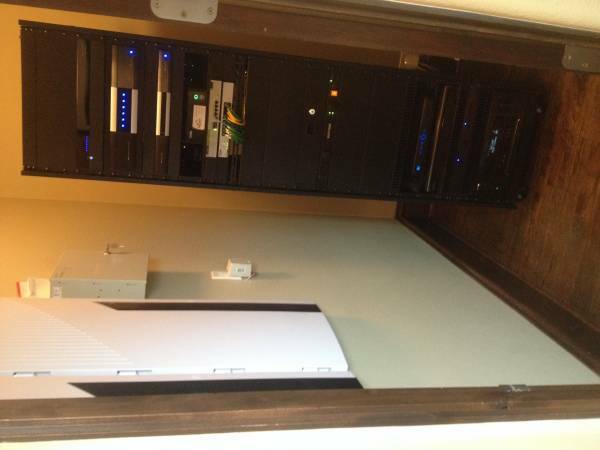 Smart Home Technology Control System installed. 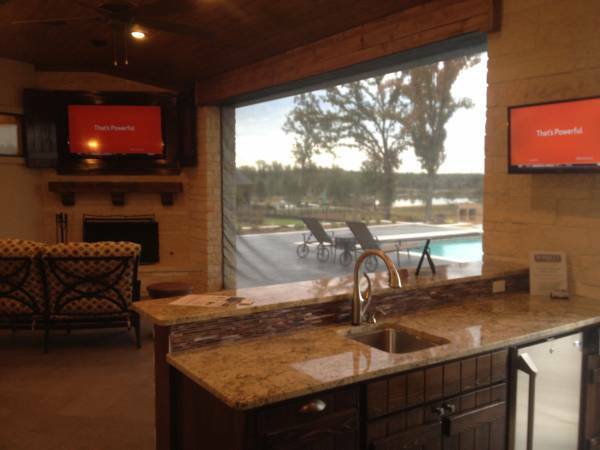 We have two TS7 touch screens one in the kitchen area and the other in the master bedroom where the owner can control their lighting, thermostats, security, and audio distribution. We are controlling all three thermostats and all the outside lights. There are HD video cameras that cover the entire outside of the home and are also integrated with the ELAN g! Smart Home Technology Control System. They can also control all these aspects of their system via their smart phone or tablet either locally or away from home. 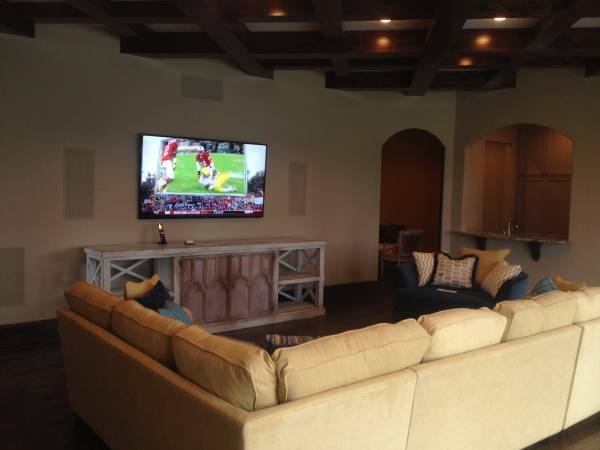 The large family room has a 75” Samsung TV on the wall with 7.1 Surround sound. This system is also integrated with the ELAN g! Smart Home Technology Control System. You can turn on and control the system via any smart phone or tablet and/or use the custom programed ELAN HR2 WiFi remote control. The shades in this room are also automated and controllable. The back porch has a great large fire place with a 55” Samsung TV over it. There is also a 32” LED over the bar that mirrors what is on the large TV. The porch can be completely closed off from the outside with an automated drop down screen to close it off and is integrated with the ELAN g! Smart Home Technology Control System. For over twelve years ASPEN Electronic Systems has been designing and integrating advanced audio, video, automation, and security systems. ASPEN Electronic Systems,LLC. is Licensed in the state of Texas: Burglar alarms B13436 Fire ACR2890.